The American Refactories Company operated a quartzite quarry at Devils Lake from 1907. The rock was shipped to Joliet, IL, where the quartzite was crushed and used to make silica brick used for lining in blast furnaces. The quarry employed 46 men. Quarry workers and their families lived at Cliff House until 1912. The company took over the quarry from the Devils Lake Granite Company for $75,000. The property consisted of 57 acres which was leased from Edmund Hopkins. The state legislature authorized the removal of the quarry by 1919, (There had been complaints about the annoying blasting). The state purchased the quarry property from the American Refractories Company in 1920. The company moved their operation just outside the park boundary in 1922. The company purchased a farm adjoining the railroad track near the present day Group campgrounds. The new site was worked until 1967. The American Refractories Company Quarry was eventually acquired by the state and become part of Devil's Lake Park in 1978. 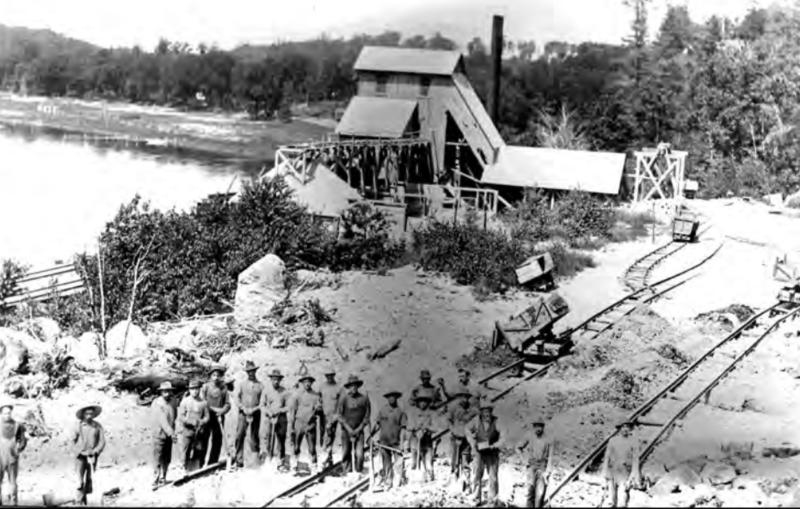 The Cahoon iron ore mine in the Devil's Lake area opened in 1911. A million dollars was spent extracting ore from the mine. Iron ore was mined as much as 400 feet below the surface. The Cahoon Mine closed in 1919. Two other iron ore mines were worked and abandoned Southwest of North Freedom. Hopkin’s quarry was a Quartzite mining site at Devil's Lake. 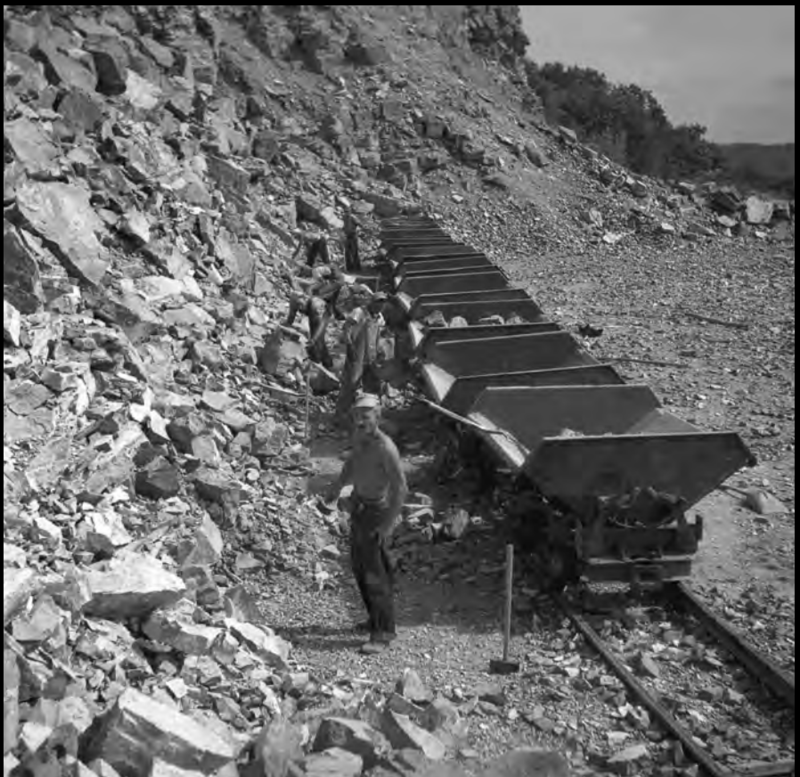 The quarry was first developed by the "Devil's Lake Granite Company" to mine rock for roads and railroad track beds. The quarry was later taken over by the American Refractories Company.